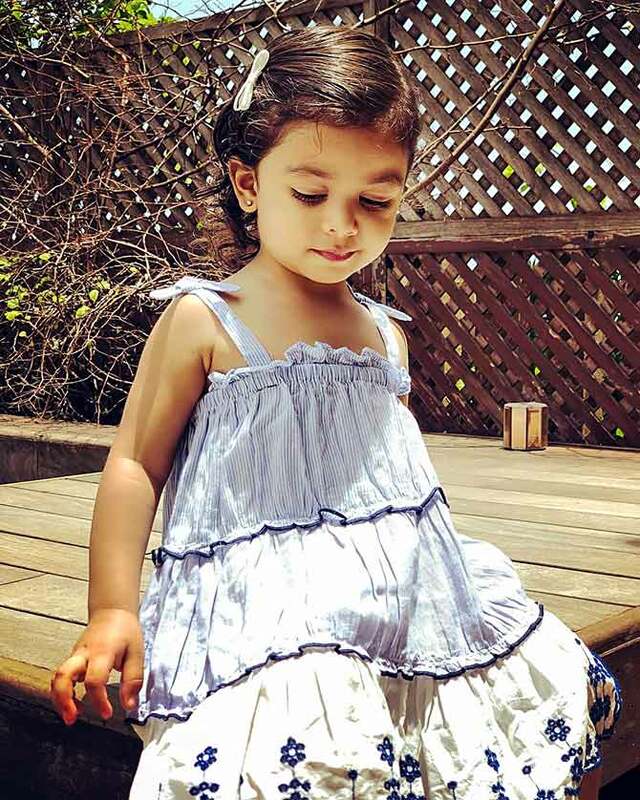 Rediff.com » Movies » Guess who this cutie pie's daddy is? 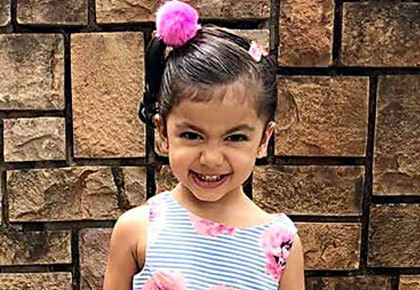 Mira Rajput and Shahid Kapoor's darling daughter turned 2 on Sunday, August 26, and her parents had families and friends over for a 'Twotti Fruity Party'. Pankaj Kapur, Misha's grandpa, arrived with missus Supriya Pathak and daughter Sanah Kapoor. Neelima Azmi, Misha's grandma, was present, of course. Also present were Pragya Yadav, Abhishek 'Gattu' Kapoor's pregnant wife, Ishika Mohan and her husband Vikramaditya Motwane riding high on the success of Sacred Games, choreographer Bosco Martis among others. A surprising guest: Raveena Tandon. We didn't know Ravs was friendly with Mira and Sasha. 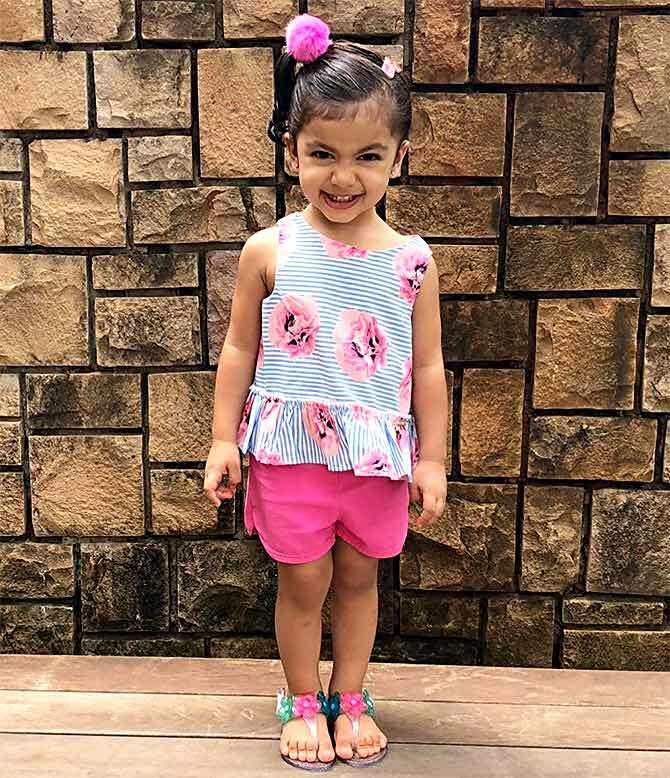 The cute as a button birthday girl! 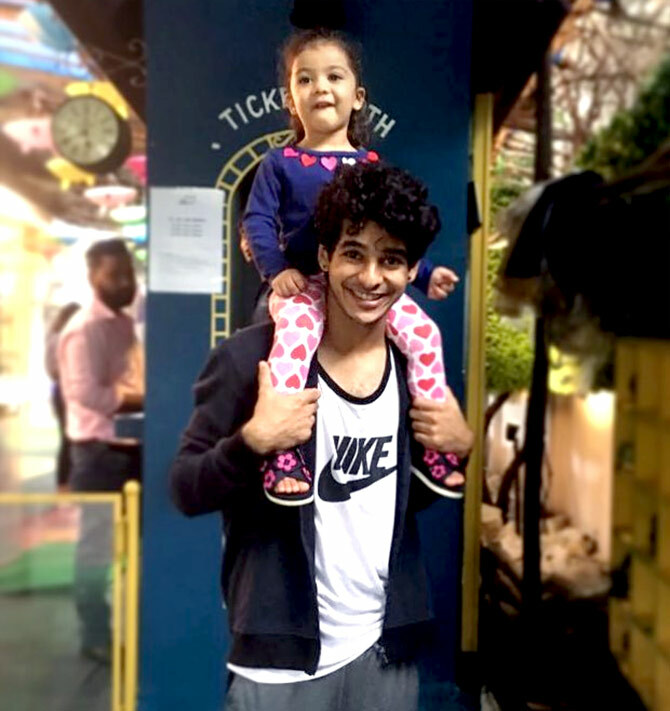 Ishaan chachu posts a pic and writes, 'Guchki baby'.